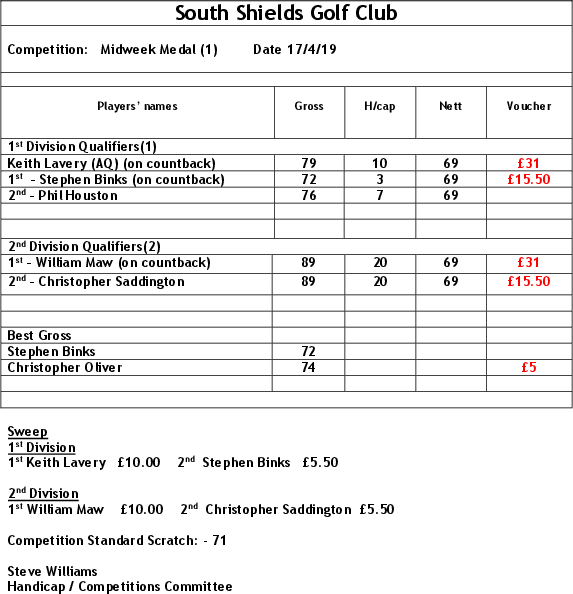 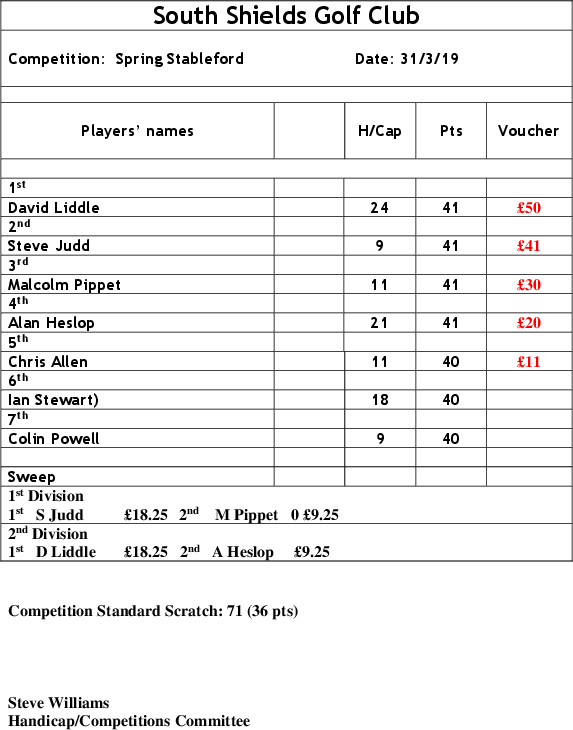 Winter Competition 1 Men's 4 BBB Stableford Competition. 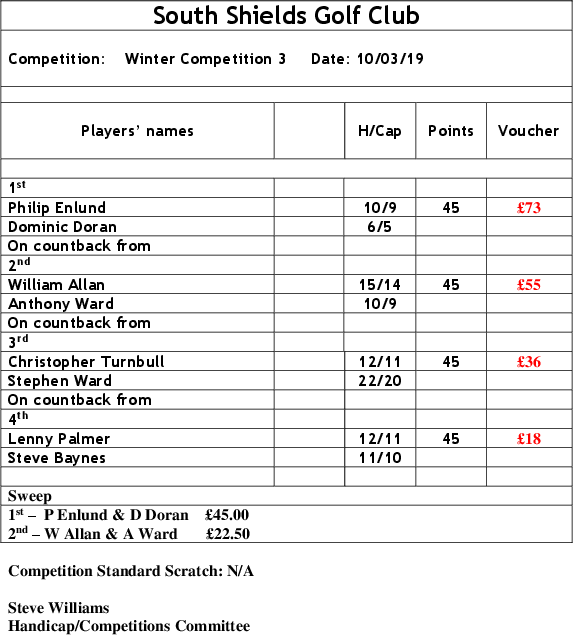 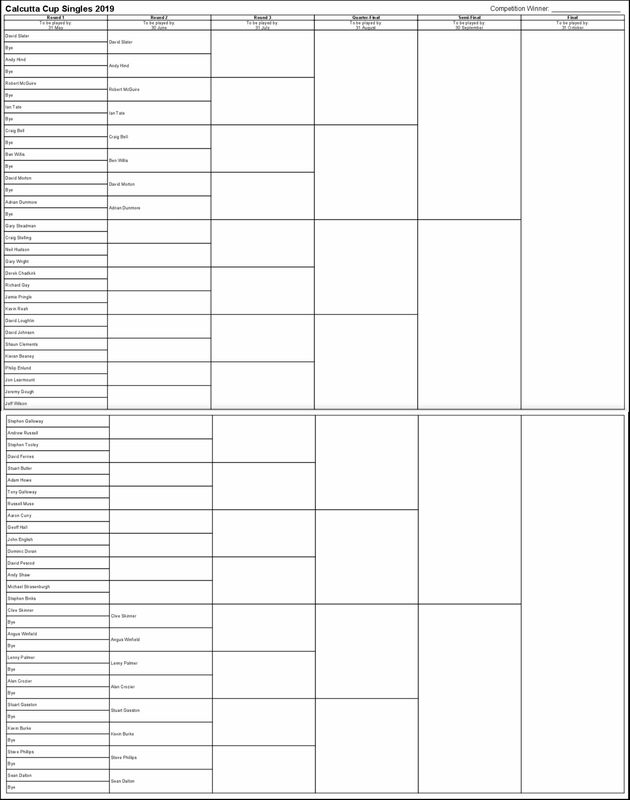 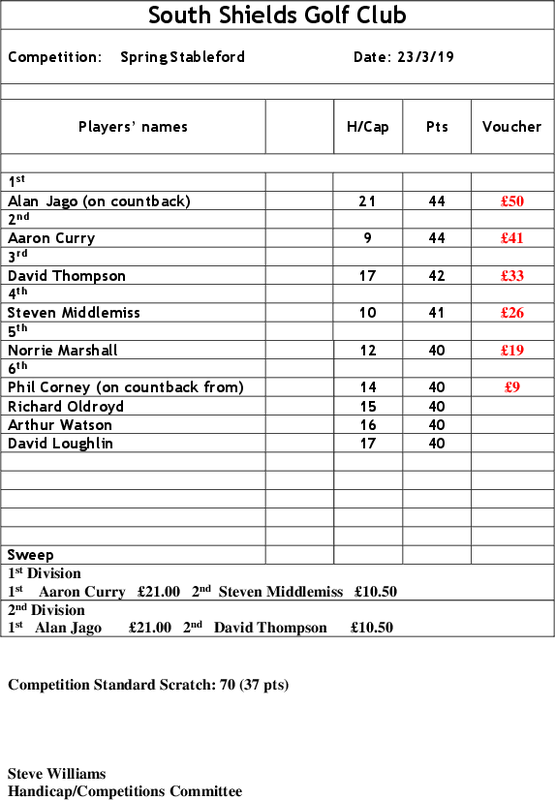 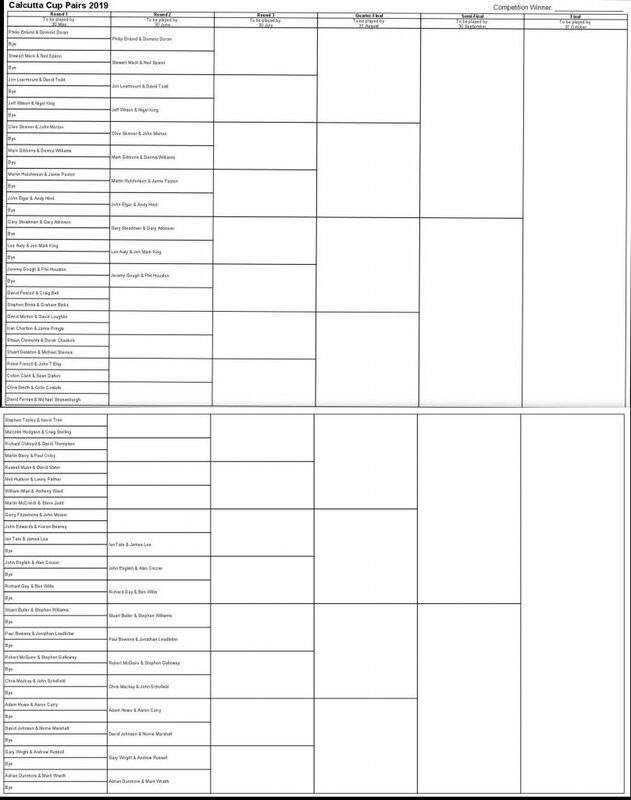 Winter Competition 2 Men's Singles Stableford Competition. 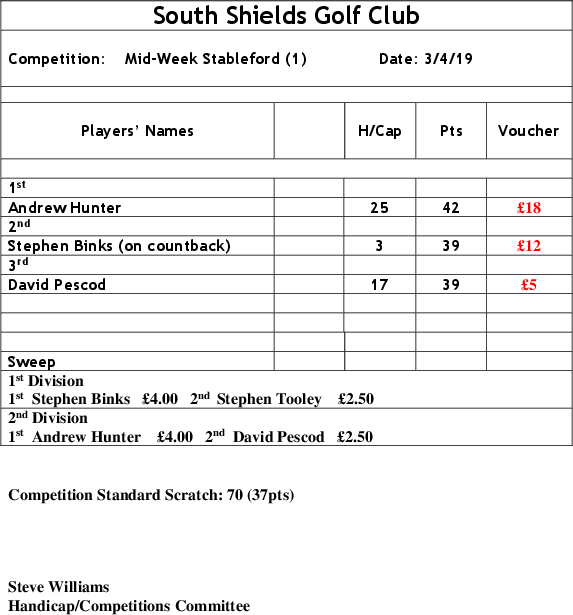 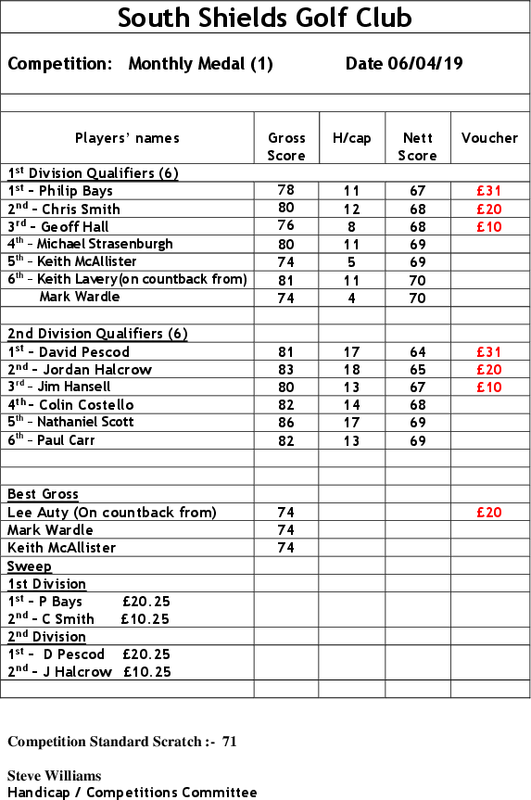 Winter Competition 3 Men's 4 BBB Stableford Competition. 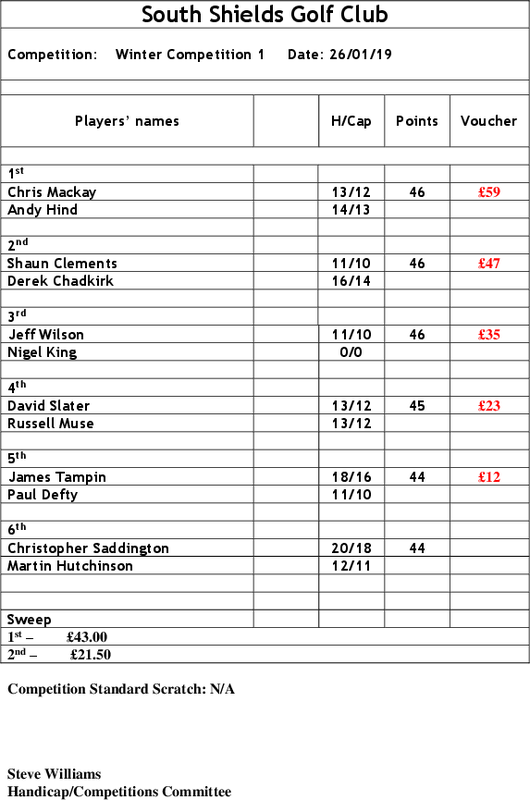 The draw for the Pairs Calcutta Cup Competition for 2019 is shown below.